Bring in the entire family for a summer bash of fun and fondue! Every Sunday through August 28, kids 12 and under eat FREE* with the purchase of each adult four-course experience. 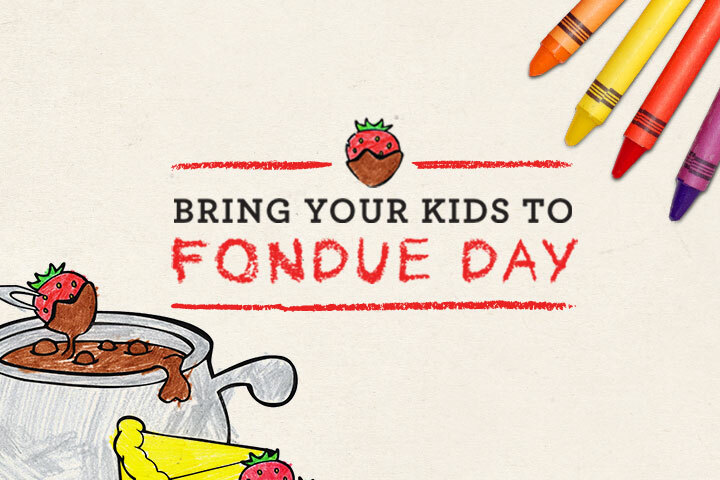 Additional children’s 3-course is just $15.99, so bring their fondue friends too!